Ekachai Hongkangwan is an ordinary Thai activist who tries to expose the truth about some ugly things happening in Thailand. Unlike most of the stories I go online shouting about, this story may yet have a happy ending. 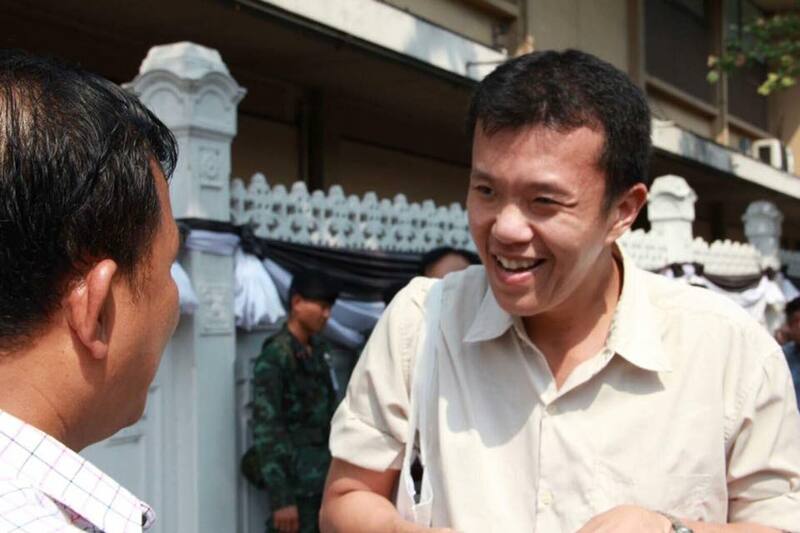 Khun Ekachai, though constantly harassed for speaking out, is currently alive and free from jail. By publicizing his story, I hope we can increase the odds he stays that way. I want the world to know the name of Ekachai Hongkangwan BEFORE the next evil befalls him, which, of course, the junta will swear is totally unrelated to his activism. From the self-censored articles written about the lese majesty victims and political dissidents (Ekachai Hongkangwan is both), you may get the idea that these people are out looking for trouble--“looking for lice, and then putting them on one’s head” to use a Thai expression--by fighting battles they know they can never win. Having spoken to so many of the dissidents (but never Ekachai Hongkangwan), I can tell you that these dissidents are more like the person shouting “ICEBERG!! ICEBERG” as the Thai-tanic heads right towards the iceberg. And you can’t shame or scare them out of shouting “ICEBERG!” because they are so worried about the ship. So BEFORE this dissident is disappeared and tortured, or charged with another frivolous law suit, or attacked by a (another?) state-sponsored vigilante, I’d like the world to track what is happening to him, because it seems he is being targeted by the junta.